Home / Events / Bringing home the GOLD! Congratulations Level 9 State Champs! It was a busy weekend for Will-Moor Gymnastics the third weekend of March as they tallied up a few more gold medals at 3 different levels. 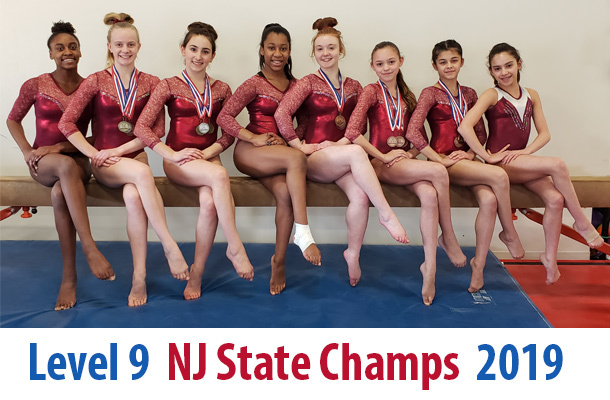 The highlight of the weekend was our Level 9 team winning 1st place as team at the NJ State Championships held at Rutgers University on March 16, 2019. We are very proud of this accomplishment as these girls worked very hard to earn this coveted title.